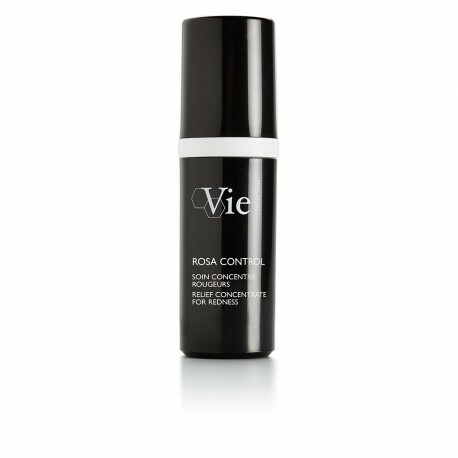 ROSA CONTROL relies on the power of vitamins and a tripeptide to help the skin combat redness on a daily basis. 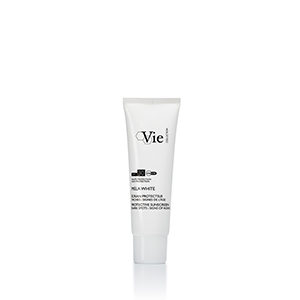 Following application, this non-oily fluid soothes sensations of discomfort. In one month*, it reduces visible signs of redness and provides long-lasting relief to the skin. *Scientific test conducted on 22 women; twice daily application. Bio-mimicking peptide grafted to a lipid to improve its penetration of targeted cells, as well as its effectiveness. It limits the inflammatory cascade by reducing the effects of the release of Substance P, the neuropeptide that causes inflammatory reactions. Results: The skin is protected from inflammatory conditions and stage-one redness are reduced. VITAMIN B5: Limits inflammatory reactions caused by free radicals from UV rays and helps to hydrate the deep layers of the skin by strengthening the hydrolipid film and its barrier function. VITAMIN C: Neutralizes free radicals caused by stress, tobacco or pollution that can cause inflammatory reactions. VITAMIN E: Protects the skin from oxidative conditions, playing the role of antioxidant shield. Results: The skin is hydrated and protected against free radicals. A molecular complex rich in saponins and flavonoids, BPX protects and tones the blood capillaries. It activates microcirculation and also helps to soothe and comfort the skin. Results: The skin is more even, the blood vessels are less visible, and stage-two redness are reduced. *Satisfaction test performed on 22 women after twice daily application for 28 days. *Hydration test on 11 volunteers after 1 application. **Measurement of the redness-reducing effect Instrumental test on 22 women with twice-daily application for 28 days. Illustration of one of the best results. A non-greasy, non-sticky fluid, enriched with hydrating, nourishing, soothing ingredients, to comfort and relieve fine, sensitive skin. Fragrance-free.